If our criticism proves to be correct, say the alternative researchers who have just founded the "Group for the Scientific Reappraisal of HIV/AIDS", the link HIV-AIDS will be considered to be the largest medical blunder of this century. "Millions of years already mankind experiences more or less consciously that, in fact, diseases have a psychic origin and this has become a "scientific" attainment firmly deep-rooted in the universal knowledge inheritance; only modern medicine reduces the animated beings to a bag full of chemical formulas." The official theory of AIDS had its tenth birthday in 1993 and, today, it remains the reference in the medical circles, and, as a matter of consequence, in the minds of the public. Although it has become more sophisticated, it still only entails questioning and fear; and even despair for those directly concerned by it. The aim of this booklet is to contribute to demystify the plague. To this end, we will first pick out the shortages of the classical explanations, because, notwithstanding all the succeeding and multiplying hypotheses, one still does not know the mechanism through which the HIV virus can lead to AIDS. Next, we will evoke the questioning starting to express itself more openly within the scientific community in this 1992 spring. And, last but not least, we will propose a coherent explanation of the AIDS phenomenon by following a very different approach though: AIDS seen as a simple peculiar case in the process of disease in general and that can be understood according to the same principles as those applicable to the other affections. ), the swelling of the glands and an abnormally high frequency of various infections. These two last characteristics  in traditional medical reasoning  evoked a downturn of the immune system considered to be our defence organ against the microbial attacks, hence immune deficiency. Finally, the syndrome was noted as acquired  opposing to inborn or congenital  as it appeared most of the time in adults between 20 and 45 years of age. At that time, there was not yet a rational explanation for the disease, but we may already retain two observation elements to be kept in mind as they will reveal troubling, as well as highly significant in the scope of this booklet. The first is the fact that the syndrome is almost exclusively observed in a list of "minorities": homosexuals, drug addicts, haemophiliacs, prostitutes, black immigrants. The second one is that it affects about nine times more men compared with women. On the other hand, the syndrome was quickly considered infectious and transmissible through sexual contact and through the blood. The second  and conclusive  milestone of the history is set less than two years later in the laboratories of the Institut Pasteur in Paris. Considering the viral hypothesis of the syndrome, the virology team of Professor Montagnier examined an hypertrophied gland removed from a patient clinically diagnosed as an AIDS patient. In March 1983, they isolate a virus from it that to date has not been identified yet and that will be baptised HIV1 or LAV. The discovery was transmitted to the scientific circles and confirmed: a new virus was found in AIDS cases and, consequently, it had to be the responsible agent. Within the two years that followed, the data and hypotheses are building up and take shape. Some other related viruses are being involved. The way of transmission from a pregnant woman to her foetus, through the placenta, is also established. The virus is principally found in a variety of white blood cells called T4 lymphocytes, being a cornerstone of our immune system, and this was considered a scientific confirmation of the immune deficiency. Screening tests are elaborated but, as it is technically very difficult to isolate the virus itself, the corresponding antibodies are rather being measured out. These are the specific proteins manufactured by some white blood cells when the organism is in contact with a micro-organism: they are, consequently, the proof that the individual was "contaminated". In parallel and progressively, the most fantastic mediatisation was set on, that will make AIDS the discovery of this decade while spreading and amplifying fear. Because AIDS in itself is lethal, without much hope for a really efficient treatment or for a vaccine, being constantly postponed, the only hopes resides in the latency period between the simple state of seropositivity and the disease. The prognosis of this delay is imprecise and elastic; when looking back in time, it prolongs as we still find seropositives in good health after years. In fact, this hope is especially a hope for a reprieve, that not in the least takes away the permanent threat. Today, it is estimated that within ten years, one third of the persons infected may remain "unharmed"; one third will present more or less important symptoms and one third will develop the fatal disease. Why does AIDS originate in minorities, notably sexual ones? In the case of the latter, the notion of transmission of the virus was, of course, rapidly and logically extended to the more usual relations of heterosexuality, but the "sexual victims" are homosexual in majority. Why this impressive predominance  still observed today  of men among the diseased while certain studies dealing with seropositivity only show that women may also be contaminated? Why all this lack of definition and modification in the delay between contamination and the disease? First for the individual himself for whom the fatal maturity may occur after some months as well as after several years; or not be noted yet, given rise to every possible speculation on the prognosis. Next, the theory  that adapts itself to the observation of the facts  recognises the possibility of its extension, almost proportional with the retrospect observation one has after years: one may not ignore the seropositives who are still in good health after a long period; but their case is far from being one of the essential concerns of research (what is evenso curious as regrettable). such as the one one seeks to obtain through the practice of vaccination. In AIDS, on the contrary, the presence of antibodies  even if it is no longer synonymous with short-term death sentence  means being the bearer of a lethal virus with a potential threat for oneself and for the others. Let us note, by the way, that an analogous U-turn had already taken place not so long ago with tuberculosis: "have a positive reaction to a skin test" meant danger, anti-tuberculosis treatment and even quarantine. To this question science responds that the HIV specificity was to destroy our immunity, its presence proven by the corresponding antibodies fully legitimates the risk. Nevertheless, the micro-organism phenomenon  being here a retrovirus  that can kill us years after it has stimulated our immunity is an unprecedented fact in medical history and it at least justifies a re-evaluation of either the HIV-AIDS link or the very conception of the immune system. Why such a lack of originality, of proper characteristics in the symptoms of the disease? It is in fact a very odd mix of numerous affections existing before the discovery of HIV but that  combined with the state of seropositivity  testify now of a new disease and, what is more, of a real plague. None of the above-mentioned questions suffices to refute the theory that has solidly anchored in the scientific world these last ten years. But the whole of it has enough to make think and further investigate more than one researcher. Among the sparse echos of these isolated steps, we have retained two. The first for its environment of origin because it emanates from a highly specialised group hovering around AIDS, the second one for the coherence and the profoundness of its explanation. Both researchers were not related to each other. They both evolved in a well separated geographical and professional context. Their medical conception and their approach of the disease are also very different. Their only common points are the fact that they question the causality link between the virus and AIDS and that they have tried to alert the public opinion since several years. He concludes that the HIV-AIDS equation is false, that the virus is probably very ancient, newly described but harmless in itself. Being of orthodox tradition, he continues to believe in an immune affection but he links it to other factors and notably to the increase in drug intake by the male homosexuals, the diverse forms of drug addiction and malnutrition. What is even worse in his affirmations: the principal anti-AIDS drug, being AZT, would provoke major damage in the organism and notably to the immune system and as this product is already massively used preventively (i.e. in the stage of seropositivity), it would directly participate to the spreading of "AIDS". The theoretical impact is heavy with consequences: AIDS is not an infectious disease and has nothing to do with sexuality. As far as the recommended treatment is concerned, it has rather something in common with a "therapeutic genocide". The personal consequences of this stance will be evenso heavy: banishment by his peers, he will be pushed aside from the debates and from the media and the subventions for his research on cancer will be withdrawn. 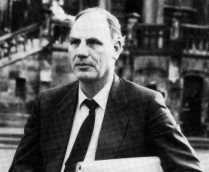 Ryke Geerd Hamer is German and he started his works on cancer in the eighties. His approach is fundamentally different from the usual scientific study insofar as he also considers the individuals psychism and the functioning of his brain without limiting himself to the sole organic and symptomatic aspects of the disease. In this, he integrates notions acquired in the most ancient traditions, but the originality of his work resides in having codified the interrelations between psychism and the descriptive knowledge of contemporary medicine. Having started with cancer, he will expand his studies to all the pathologies, including the domains of infections where he will explain the precise biological role of the different microbes. The strength of his theory resides in its simplicity (it is summarised to some important constant biological laws), its coherence, the universality of its application and its perfectly verifiable character if one takes the time to overall examine the individual. It is this approach that will be studied in the next two chapters. Here also, the awards came quickly: stricken off for life in 1986, he will often be threatened with psychiatric confinement and systematically be ignored by the media. His work is already considerable but hardly spread because of the complete disruption inevitably caused by the change of thought generated by such a concept. In 1992 the American dissidence will focus on the protest movement. The mediatic bomb explodes on April 26 when the headlines of the British Sunday Times divulges the "challenge" on the official theory to the public. The article dedicates a large part to Duesbergs arguments and reveals the creation of an "International Group for the Scientific Reappraisal of HIV-AIDS" gathering several tens of scientists. Other articles will follow, also in other newspapers and in other countries. It is only the very start of a controversy promising to be as passionate as long, but the movement was launched. It would be too long to give a detailed summary of this very animated congress, but it is interesting to identify the main lines to find out that the questioning is real even if it is still heterogeneous, contradictory and limited. In this symposium, the official discoverer of the virus had also come to unfold recent precision and amendments to this theory. He explains that the HIV, however primordial, is not the only one involved in the immune collapse leading to AIDS. There must be a co-factor, i.e. another factor, that, when combined to HIV, would lead to a more or less suicidal situation of the immunity which would turn against itself. For Montagnier, this co-factor would be other microbial attacks. Faced with this notion of co-factor, the viewpoints are going to divert more or less forcefully. The more radical people, such as Duesberg, will assert that it only concerns a new non-proven and gratuitous hypothesis centred on the HIV-AIDS equation, which they consider false and incoherent. But if many deny the importance of the virus itself, the multicausal hypothesis of AIDS will also be largely defended in various senses. The most expressed concept is the one of a more global approach of the individual where one has to take into account his way of life and, more in particular, his intake of toxic substances such as drugs or AZT, the repercussions of other diseases and in particular of infections, the nutritional, hereditary and psychic (as testified in the statements on the relation between psychism and immunity) parameters. Finally, one always speaks of immune deficiency where the famous virus would only be a simple wheel in the whole machinery and often even only a consequence rather than a cause. As far as the somatide is concerned, it would change forms and activity according to the numerous aggressions of our internal ecological balance and would be the real responsible for the deep disturbances of our biology and, consequently, of our immunity. Let us finally cite the statements on the testimony of the long-term survivors, the case of which is challenging as it should logically lead to scientifically study not only why and how the HIV kills, but also why it does not kill. Round tables will cover the attitude of the media that almost unanimously ignore the diverging points of view and the huge socio-economic stake of the plague. As to psychism  which will be of a particular interest to us in the next two chapters  its role was stressed several times, especially in a round table treating of its influence on immunity and when the terror generated by the AIDS dogma was evoked. In the statements in favour of the multicausal hypothesis, it was on the contrary most often confined on a list of multiple causes. Moreover, in the interventions by the public and in the conversations outside the meeting rooms, several practitioners having a large experience with AIDS patients asserted its predominant role. It is this psychism that we consider as being the "missing link" in the profound comprehension of AIDS and of disease in general. In the continuation of the text, we will try to give it the place it deserves since the dawn of mankind if not of life itself. This chapter will resume  in a very simplified and thus vulgarised way  the essential of Dr. Hamers discoveries, most works of which have already been translated into English. It does not really concern a theory of disease but rather an empirical explanation of it. Its value resides in the fact that it is commonly verifiable. So, the biological laws that we are going to develop are not mere hypotheses, but are the result of the accurate and repetitive observation of a succession of facts. These laws do not explain everything, but they are sufficient to understand the evolution of the disease. One may add the number of hypotheses wanted in order to try and "fill the gaps" but the interest of any hypothesis is only to stimulate the researcher to perform other experiences, or better even: new natural observations that will confirm or modify laws that have already been evidenced. In this concrete approach of medicine  i.e. in the field, confronted with the diseased  one does not cure with hypotheses but with facts. The first four paragraphs will deal with the four main biological laws respectively. The fifth one will show an important application by evoking the impact of the classical medical observations. And last but not least, the final paragraph will deal with the necessary changes in diagnosis and therapy. Psychism, brain and organs are in a continuous interrelation and this perfectly synchronised triad is always modified in the different affections, from the most benign ones to the severest. Nothing but "jolts" around a centre of gravity that remains stable but that already entails repercussions on the nervous system and consequently a "body language". If, on the contrary, the painfully lived experience takes the aspect of a psychic shock, that can be so brutal that it leaves the individual in a lasting mental state of harking back, of obsession, it immediately means the start of what may be qualified  with the ambiguous and restricting sense of the words  as a conflict. In order to really have a conflict, there must be a breaking process  an opposite, unstoppable effect  to which it was not possible to react through a behaviour, usual or coherent for us. The conflict is always something very personal and, thus, "involving". In other words, it does not concern the events that we only interpret as blows of fate, but situations where we feel directly implicated or, more exactly, torn apart. It may be appreciated according to various parameters: its importance, its duration and its "subjective content". The importance and the duration of the conflict determine the extent of the damage inside the body as this starts as soon as the conflict sets on and accumulates as long as the conflict is not solved. This is the whole difference between an insignificant cold, a bronchitis or a large lung tumour. By subjective content, we understand the personal way in which the shock is experienced, and this leads us to specify the role of the brain. The nervous system includes the brain, that maybe conceived as the supercomputer managing the whole of the body and its multiple terminals being the nerves. For all the automatic functions  i.e. independent of our conscious will  the nervous system possesses two large circuits being the orthosympathic and the parasympathic (also called vagosympathic), the tandem of both is called neurovegetative system. The orthosympathic stimulates everything that is biologically foreseen to keep us in a state of alert and of potential combativeness. It is thus predominant during our active day time. As to the parasympathic, it stimulates our rest and recuperation functions and is, consequently, predominant in our sleeping phase. Health implies an optimality and a harmonious alternation of this rhythm which is fundamental for the whole of our organism. The complexity and the intensity of this symptomatic table are of course proportional with the extent of the conflict: it may be a slight state of insomnia and restlessness, even associated with a "compensatory bulimia"; but a very severe conflict may lead the patient to a state of stupor making him loose some ten kilos in a few weeks. This rupture of the nervous system is the so-called state of stress, the profound nature of which should be understood. The expressions of it may be very unpleasant, but they have a meaning: it is the expression within our body of the extra alert necessary for the solution of the conflict. Without stress, the human race would probably not have survived its confrontations in life, but there is a reverse side to the coin, being the start of a countdown: the neurovegetative imbalance has its limits, the ones corresponding in fact to our capacity to live a conflict. Let us take two examples to make this capital point of the first biological law clear. (according to the multiple gradations characteristic of this kind of conflict). A woman learning about her conjugal misfortune may be hurt in her hope for a home and this nest conflict will affect the lateral part of the cerebellum entailing a breast affection. The wound may be a sexual frustration and the temporal part of the left cerebral hemisphere will entail a lesion of the cervix. It may be experienced as a devaluation of herself with repercussions on the bones. Moreover, this woman, regarding the social and material consequences, may feel herself plunged into an unbearable situation she can not get out of; and the disease  through the peri-rolandic cerebral cortex  will be a multiple sclerosis. The complete list of eventualities would be much more exhaustive. The woman may as well not have any organic affection if she overcomes the shock right away. She may also have several impacts of the same shock, the weakest of which will only be feebly marked while another one will entail a cancer. THE ONLY THING THAT COUNTS TO UNDERSTAND THE CEREBRAL AND ORGANIC AFFECTION IS THE SUBJECTIVE COLOURING OF THE CONFLICT. ), a manufacturing defect (genetic diseases) or a severe nutritional deficiency. But even in case of an evident external cause, it does not prevent to consider how the individual is going to experience this aggression and, thus, the consequences characteristic for this experience. The first biological law taught us that the disease is a simultaneous disturbance of the three levels  psychism, brain and organs  the origin of which resides in an emotional shock. 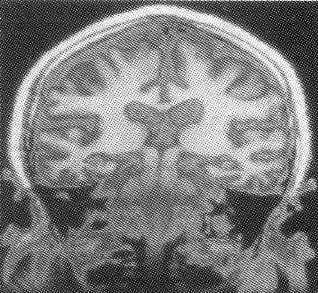 The "law of the two phases of the disease" is going to introduce the notion of reversibility in this three-fold disturbance: as soon as the conflict is solved, the brain zone that was affected will repair itself and this return to normal cerebral activity is going to entail the restoration of the diseased organ. So, this is the second part of the disease which is in fact the recovery phase. We will see in the next paragraph how the third law explains the large differences in the symptoms we meet in each of the two phases but let us first stop at the implications of this second law. ; what is important is that the individual does not longer experience this conflict of having to fight. and will present general symptoms of nervousness. Moreover, the disturbance of a precise zone in the brain will provoke the deterioration of the organ corresponding to this zone. The solution of the conflict stops the evolution of the disturbances at the three levels. But the complete disease does not stop for it: at this stage the organism ends up with various deteriorations and it is evenso spontaneous that the repairing processes foreseen by nature long before the arrival of medicine are going to set on. The nervous system connects itself to a recuperation rhythm (phase of vagosympathicotonia, also called vagotonia): feeling of fatigue and need to rest; restart of sleep and appetite if they were disturbed, of a better blood stream. At the brain level, the previously affected hearth is going to swell and this oedema is going to explain several symptoms characteristic to this second phase, but all these cerebral modifications are temporary and the nervous tissue will not only remain functional but regains its performance: it again manages the integrity of the corresponding organs that are going to repair. Finally, at the organic level, this auto-recovery will translate into a series of symptoms that have to be well decoded. This notion of spontaneous auto-recovery after the solution of the conflict questions again the real impact of a medical treatment: the treatment does not aim at curing a disease anymore, but to accompany, favour, modulate, relieve this second phase which is often more uncomfortable than the first. It is, consequently, essential to know in which of both phases of the complete disease one is in order to adequately choose the therapeutic measures. We will come back further to these very pragmatic aspects of the "art of curing". One more remark on the passage from one phase to the other, because this passage only depends on the solution of the conflict and, here, all scenarios are possible. A short and clearly solved conflict will end up in a so-called acute disease. But the solution may be progressive or delayed by re-stimulations of the conflict and there will then be fluctuating or relapsing affections. Or even chronic affections if the revival of the conflict takes place each time before the end of the recovery phase; and, in this same case, the various symptoms will be as fluctuating as psychic life itself. Finally, the conflict may be in balance or latent, i.e. a little or not active at all but not really solved and the psychic state will still be the arbiter of the renewal of the damage or of the start of the recovery. The complexity of a pathology will also often be related to the fact that an individual will frequently have more than one conflict, one of which being still active, while the other is already being solved. The process to follow is always the same: take into consideration the three levels concerned, crosscheck to be sure of the stage reached in the whole of the two-phase process and take measures that are coherent with this global understanding of the disease. This third biological law was called "ontogenetic system of tumours and equivalents" by its author. Ontogenetic because the comprehension criteria rest on the embryonic development of the organism (called ontogenesis); tumours and equivalents making an allusion to the various pathologies encountered at the level of the organs. But before tackling these pathologies, we will first go back to the nature of the modifications taking place at the level of the brain because the symptoms that may derive from it are an integral part of the "diseases" and vary quite as much according to the two phases. During the first conflict phase, one observes the expressions linked to the orthosympathicotonia but the disturbance of the cerebral hearth corresponding to the conflict results essentially in the peripheral organs: at the level of the hearth itself, it is only a dysfunction. In the second phase, however, next to the expressions linked to the vagotonia, the repair of the cerebral hearth entails consequences which deserve some explanations. Concretely, with a recovering cerebral hearth, a transient is forming as well as a proliferation of the glia. This glia is another brain tissue; it does not have the characteristics to store or to transport the information as do the nervous cells (neurones) but has a role of supporting, nourishing, isolating and repairing the nervous tissue as such. The "congestion" of the hearth in its solution phase is linked with the importance of the conflict and may go as far as to take the appearance of a "brain tumour", well visible on a medical imaging such as a scanning or a nuclear magnetic resonance. But, next to the oedema, which constitutes the major part of it, the diagnosed proliferations do only concern the different types of glial cells since a neurone can not reproduce. These "tumours" testify of the second repairing phase of the complete disease, and, more precisely of the repairing at the cerebral level; they follow the cycle of this second phase at the end of which they may leave harmless scars. During their development, however, they may provoke various complications. This is e.g. the origin of death in the case of heart infarction where the heart arrest is due to a too strong compression in the zone of the brain affected by a conflict of having to fight. But let us insist on the fact that the oedema and its complications are proportional to the extent of the conflict. And to keep the example of infarction, it may be minimal and even pass unnoticed if the conflict was of minor importance. Despite the large number of organs in our body, the tissues composing them amount to only a few large types each with its mode of deterioration (during the conflict phase) and its mode of repairing (during the recovery phase). By simplifying a little, a complete disease may present three figure cases. In the first case, the conflict phase brings about a cell proliferation. The affected organ thus develops a tumour, the evolution of which is proportional with the intensity and the duration of the conflict. The classical distinction between a non-malignant and a malignant ("cancer") tumour is only descriptive. Let us remind that the first would be more moderate and remain at its site of origin, while the second would be more rapid with a tendency to generalise through spreading. In fact, the tumour develops more or less rapidly according to the intensity of the conflict and also as long as this is not solved. This tumour only concerns the organ of which the managing brain zone is disturbed and the classical notion of "metastasis" is only one of the numerous hypotheses intended to satisfy the incomprehension of the origin of what is called cancer: if a patient presents several tumour locations, this means that he had several conflicts and consequently several brain affections. After the solution of the conflict, there are two possibilities. As we shall see in the fourth law, if the organism possesses the adequate microbes, there will be tumour reduction with all signs of inflammation and infection it entails, including the numerous blood modifications simply testifying of this destruction. Otherwise, the healthy part of the organ will proceed to an encystment of the tumour that will forever remain inactive, unless the conflict is again stimulated. In the second case, one is confronted with an almost inverted scheme. During the conflict phase, the organ undergoes a destruction (ulceration, necrosis, loss of substance) and here the recovery is going to entail a cell proliferation intended to fill the substance losses; this proliferation may be a simple cicatrisation or take the aspect of a real and sometimes very voluminous "tumour". The microbes (about which we will talk in the frame of the fourth law) also intervene to remove the lesions previous to the reconstruction and to accelerate this reconstruction. The tumour, here thus has a very favourable significance since it testifies of a reparation and develops only after the solution of the conflict. It may be as fast and important as in the first figure case and in a medical conception according to which all tumours are pathological. The recovery phenomenon will then be estimated as little severe if the tumour is judged non-malignant or very severe if its extent gives the diagnosis of cancer. The reparation tumour often exceeds in proportion the preceding destruction of the organ but it always reaches its term, i.e. that without a relapse of the conflict, it is always bound to come to an end. It is also accompanied by inflammatory phenomena (and among others with adherences to the surrounding tissues) which completely blur when the process is finished. Considering those two first figure cases, one may already understand the tragic consequences of a taking into consideration of the sole organic symptoms: announcing to a patient that he is invaded by a cancer when he is, in fact, in the often painful reparation phase and still morally fragile after the solution of his conflict, means risking to see him plunge into an even more dramatic experience than the one at the origin of the initial affection.
) abnormalities which only had unknown, hazardous or statistic origins and which had to be fought for recovering. It is now a question of correctly interpreting the sense of all the symptoms by linking them to one of the two phases of the complete disease, according to the tissue that has been affected. The discomfort as such may accompany the first phase (e.g. the stomach, which makes us suffer during the conflict phase) but it is more often in the second repairing phase that the patient will consult and that his experience will be "completed" with a diagnosis of the pain he is the victim of. ). This "gap" between conflict and discomfort is even an "asset" in the mechanism of the disease because the onset of a major conflict is on the whole that of a stay of execution and of a countdown: the individual must solve his conflict to survive. If he always had the perception of the physical pain of his organs next to the psychic pain caused by his harking back (where he is looking for the solution), he would have even less chances to get out of it. When he is relieved of his conflict, however, he is able to better concentrate on the arduous reparation. The hypotheses relating to the infectious aspect of numerous diseases are so well established in current thinking that they have become dogmas as sacred as those of cancer itself. It might thus be useful to remind the large steps which allowed to anchor this theory on infection and to find out that, here too, the diseased is studied and approached as a machine without a soul. One swiftly identified them as the responsibles for banal phenomena such as fermentation and putrefaction but it is the medical aspect that will interest us here. In fact, one saw them pullulate in numerous diseased presenting, among others, fever and purulent secretions. So, various pathological pictures were linked to the infestation of specific microbes. Later, the improvement of electronic microscopy allowed to observe even smaller micro-organisms that were called viruses. The latter, contrarily to the other microbes (fungi, bacteria), are considered to be at the border of the living reign insofar as they do possess genetic material but are incapable of reproducing without using the reproduction system of another cell. In the meantime, the continuous progress of biochemistry brought more and more information on the reactions of our cells  and particularly the white blood cells  to these microbes: when they were pullulating in the diseased, one assisted to an enormous confusion among those white blood cells along with the synthesis of numerous substances and microbial destruction phenomena. The result was the conception of the immune system being our natural defence against invisible enemies and the more dangerous that they are passed on from a diseased person to a healthy one that they could contaminate. This vision of the infectious phenomenon may seem very logical but numerous researchers have, however, raised incoherences, gaps and disconcerting questions. Let us briefly summarise them. If a lot of microbes are responsible for our pains, infinitely more are the harmless ones and even the ones indispensable for life such as the milliards of germs permanently populating our body: there are thus good and bad microbes. In a lot of infectious diseases, it are our own usual microbes that start proliferating: good microbes can thus become bad. There are even some that become "resistant" to antibiotics. A lot of bacteria and especially viruses change conformation and characteristics: why these mutations, in which the HIV is namely a champion? Contagion rather obeys the hazard of statistics than constant rules and the presence in the body of renowned dangerous germs does not necessarily lead to disease: why such a difference in "sensitivity" and in "virulence" from one individual to the other? Some audacious people at the beginning of this century have even ingested germ cultures taken on patients deceased from cholera without even getting the disease themselves. The general tendency to which these critical considerations lead meet the citation of Claude Bernard: "Pasteur was wrong. The microbe is nothing. It is the soil that makes the difference". And to discourse on the ecological balance between the microbe and its host and all the factors susceptible to disturb this balance. Confronted with these observations "in the field", science further describes all the fortunes and fates of an immune system supposed to have the monopoly on the defence and consequently on this balance. But this does only shift the problem: why the weakness or the force of our immunity? It is the fourth biological law that is going to allow us to get out of this theoretical labyrinth. This by always integrating this missing link that is the psychism  or, more exactly, the triad psychism, brain, organs  and by taking only verifiable observation facts as a basis. "The ontogenetic system of the microbes" shows us two realities: the microbes do only interfere in the second phase and spread according to the embryonic origin of the tissues (ontogenesis). The microbes only start proliferating after the solution of the conflict and thus on the order of the brain, which has consequently inverted its functioning mode now oriented towards reparation. So, they participate to the recovery of previously affected organs during the conflict phase. Their "work" is to destroy, clean or fill the lesions; this, of course, in an inflammatory climate the discomfort of which will be proportional with the work that has to be realised. For lack of these collaborators, the recovery will only be slower and/or incomplete. If they are artificially neutralised by drugs, they will take up their activity later if the second phase is not completed, what will then be diagnosed as a "relapse". Pure contagion is only a limited laboratory experience; an individual can only be contaminated while developing an infection during the second phase of his disease and the extent of his infection will be determined by the extent of the damage acquired at the end of his conflict phase and not by the virulence of the germ in se or of the infection observed in the "contaminator". Most often it are our own microbes that will start proliferating on the spot and for the time determined by our cerebral computer. But numerous germs are latent in the endemic state, ready to "invade" us as soon as we need them. Each of our tissues derives from one of the large embryonic layers and this origin is the criterion of choice of the different types of microbes. Without getting into details here, let us though precise that the fungi and the mycobacteria destroy the proliferations occurring in the conflict phase; it is e.g. the role of the tubercular bacillus to eliminate the intestinal, pulmonary or hepatic tumours. According to the tissues, the bacteria play an analogous role of destruction in case of proliferation during the conflict or a role of restoration in cases of necrosis during the conflict. Finally, the viruses contribute to fill the substance losses in the ulcerated tissues during the conflict phase. What remains of the immune system with this fourth law? Only the undeniable facts being the numerous biological modifications observed but that have to be re-framed in a more global view: the immune system is a modulation mechanism of the microbial work. During the conflict phase it is at rest, whatever the damage and the weakening of our organs. As soon as the conflict is solved, it lets the microbes proliferate and work during the reparation phase to "dismiss" them as soon as it is over. It is consequently only in this second phase that one assists to this intense activity of the white blood cells that "accompany and control the micro-workers". Such a modulation system is necessary because the microbes are autonomous living organisms and they consequently proliferate naturally. The host-microbe balance is the conviviality between the large organisms and the micro-organisms dating from the emergence of the living world and can only be maintained according to the biological laws ruling the functioning of the living entities. This conviviality is only one particular case of the balance existing as soon as a population of cells is concerned: without even talking about the microbes, the cells of our tissues are already ruled by ancestral rules or reproduction. During our embryonic development, we pass from the microscopic size of one single cell to three to four kilos and this in nine months time: why, at the age of fifty, do we not reach the size of a house? Instead of such a growth, our growth curve declines until the end of puberty to finally only allow the replacement of the cells having died because of their own ageing cycle or because of the destiny of their function. These regulation orders, however, (including the ones of puberty maturation) come from the cells of the nervous system (which are the only ones that can not reproduce!). How can we then still ignore the role of the brain in this "restart" of multiplication being the tumour phenomenon? It is by observing the continuous relation between the functioning of the microbes, the organs, the brain and the psychism that Dr. Hamer was able to retrace the large biological laws showing the whole coherence of health, of disease and the reversible passage from one to the other. If the physical manifestations of the disease have as an origin the psychic experience and if recovery starts after this modification of the experience, being the solution of the conflict, it is nevertheless the case that psychic life does not stop and that the "experience" of the patient remains sensitive to every eventual new shock. Therefore one has to pay attention to the way in which the patient is going to live his disease and among others his reparation phase which is often more painful than the conflict phase. And if the experience brings shocks of another nature and, consequently, other symptoms, this would add to the complexity of the clinical picture. This risk of a vicious cycle does not really have a direct relation with the medical impact as such, but it may be influenced by the patients beliefs on the subject. And especially cancer: this irreversible tumour of an unknown origin, anarchic in its tendency to invade other organs and justifying the most incisive therapies. All these fears constitute a background against which the worst conflicts will arise following certain diagnoses. It should be well understood that words such as "cancer" do not at all have the same subjective colouring for the doctor and for the patient. For the data in the exercise of his profession, it is first of all a diagnosis among others in the descriptive catalogue of the pathologies. But his good faith in the "objectivity" of this diagnosis and his desire to help the patient assuming it does not avoid that for the patient cancer is synonymous with a severe threat, suffering, mutilation, death. Let us take as a first example the itinerary as sad as frequent of a woman with a mammary tumour as a consequence of a conjugal drama. If this tumour entailed the removal of the breast and the woman does not overcome the shock of this amputation, the conflict of devalorisation in her femininity will translate into a bone cancer. This has thus nothing to do with the breast lesion but originates from a new conflict of an entirely different nature. Considering the intensive follow-up this patient is subjected to, these bone lesions will be discovered even before the solution of this second conflict provokes the characteristics pains of the repairing bone. An additional treatment is justified for the extension of her cancer being these "bone metastases". Then there is a third and still different shock: the fear of dying in the face of the progression of a harm for which everything she has endured proves to be in vain. This fear conflict induces proliferations in the pulmonary alveoli. If she does not have the luck to rapidly develop a pneumonia testifying of the microbial cleaning of these lesions after the solution of this last conflict, the diagnosis of new metastases, pulmonary this time, will mean the beginning of the end: it is at this stage a re-activation of the third conflict that will set ablaze the lesions corresponding to the lungs. The end of this first example introduces a simple rule that the reader will no doubt already have deduced: if the psychic impact of the diagnosis is of the same nature as the initial conflict at the origin of the diagnosed disease, this diagnosis worsens the disease in question (if not, it will provoke other conflicts and, consequently, other affections). Let us take here a second very typical example: multiple sclerosis. At the origin of this pathology lies a conflict of not being able to bear a situation and, above all, of not being able to escape it. The frequency and the intensity of the outbursts depend on the hazards of the conflict and, in general, the patient totally recovers. As the diagnosis is often made much later, this first period may last for years. But the day of the revelation, and beyond all discourse, the experience of the patient may be summarised in a few words: "I am affected with a progressive degeneration of my nervous system. Nobody knows where it comes from. It is incurable." It indeed concerns here a conflict of a same nature: how bear the spectre of the wheelchair and how escape from it as science is unanimous? This iatrogenous impact being the heart of the AIDS phenomenon, we will come back to it in the last chapter. at the condition though that the process of disease in general was understood. as the crater of a bomb five months or ten years after the explosion that took place during a war. For those patients who suffered at a time in their lives but who found their cruising speed, the screening (more and more performing in the detection of "abnormalities") brutally plunges them into a nightmare of anxiety and often of mutilation and of demanding treatments. Concretely, the tumours evolving in an active conflictual phase will end up clinically manifesting themselves and, in this case, the essential gesture to make is to help the patient solve his conflict. And the majority of the tumours especially show up in the solution phase following the inflammatory and/or infectious phenomena accompanying this reparation. If one wants to be screened, he might as well do it lucidly by trying to find out first whether the eventually detected abnormality is really evolutive or if it is only a simple residual sequel. The best screening is still to make an overview of the patients present existence and to explore his psychic, nervous and general state. Concretely, medicine is practised in its two facets, being the diagnosis and the treatment and the two aspects are linked: whatever the methods used, a disease is treated according to the conception one has of it. And from this angle, every medical approach is logical and coherent. It is logical for example, to follow a diet or to take drugs to lower the cholesterol level as soon as the increase of this fat in the blood is considered a risk factor for cardiac infarction. It is logical to propose an additional treatment of chemotherapy after the excision of a cancer insofar as it is considered able to spread everywhere into the organism. It is also logical to prescribe control examinations for the patient during the years following this excision because, not knowing where it comes from nor in which stage it is (is it in evolution? are there metastases being formed? ), one may only hunt down a relapse evenso unexplained. Finally, it is logical to detect the seropositives, supposed to be in mortal danger and especially to be death vectors for the others. But these treatments appear to be totally unadapted as soon as the assumptions on which they are based prove to be false. The comprehension of the biological laws and their manipulation leads to an entirely different attitude. Cholesterol is a mechanism for the repair of vascular cracks appearing during the conflict phase and it only comes up in the second phase. A "cancer" is either a tumour during the conflict phase and the essential is then to help the patient solve his conflict or a reparation tumour that will stop itself. And one may know before operating if the patient will relapse by examining the state of this conflict. Finally, detecting a seropositive is particularly risking to provoke an Anxiety and Iatrogenous Devalorisation Syndrome. The classical diagnosis is like the examination of the floating part of an iceberg: the examination  essentially descriptive  of all visible symptoms without, however, considering their origin, their links with the patients history and with the whole of the suffering being. The change would consist in investigating the three levels of the triad to fully understand every manifestation and to see in which phase of the disease the patient is in. Let us precise here that in the examination of the brain the scanner is a very useful element because the disturbed hearths are marked on it, with different images according to the stages of the conflict. The treatment derives from the complete knowledge of the case, allowing to better know what one is exactly doing. Our point is not to discuss the intrinsic value of this or that technique and a priori all therapeutical means can be considered. The first thing to know is in which phase of the disease the patient is actually in and then to "treat" him at the three levels: psychism, brain and organs. And given the more frequent discomfort during the auto-recovery phase, he will most of the time consult at that stage. The attitude will be to make him understand, to reassure him and to help him assume his new experience. At the cerebral level, one will see to the eventual complications due to the compression phenomena of the nervous tissue owing to the transient oedema in the repairing hearth. At he organic level, it may be necessary to have recourse to various drugs to relieve, but avoiding though to interfere too much with the repairing processes. In the field of infection, its extent being proportional with the extent of the reparation (and consequently of the deterioration having occurred during the conflict phase), it may sometimes be justified to "apply the brakes" on it because of the too important discomfort and even the danger if the organism can not stand it. Here lies, for instance the difference between a tuberculosis that would pass unnoticed after a minor conflict and a tuberculosis that witnesses the diseased "spit our his lungs" during months following a very long conflict. On the other hand, medical help may prove useful when the infestation took place with microbes not foreseen by our own ecology, such as tropical germs for a European. Except for vital urgency and this in both phases, the surgical intervention is most often contra-indicated and even dangerous because of the organic weakening and the mutilation conflicts it provokes. The highest risk is after the solution of a major conflict because a general anaesthesia may seriously compromise the capacities of cerebral recuperation (by worsening the intense vagotonia, which is normal in this situation). It is only after the complete achievement of the recovery that an operation, for aesthetic or comfort reasons, may be performed without any risk. In this third chapter we come to the real theme of the brochure with the approach developed in the preceding pages. In order to avoid every misunderstanding, let us again remind the major lines of the approach that will be followed. It is not the point to explain the mechanism of a new disease, but to explain the physical symptoms usually encountered with diseased having been diagnosed as AIDS-patients. The reason why we are not going to tackle AIDS as a disease in se, is not because of the gaps, the incoherences and the despair associated with this theory, but because the concrete and verifiable biological laws are not taken into consideration. They are though the "keys" that are going to allow us to put some order in and to understand the jumble of symptoms classically related to AIDS. It will be the application of the biological laws, a simple list of illustrations of these laws where the whole of the individual, and consequently his psychism, will be taken into account. Before arriving at this level of detail in the analysis of the multiple lesions, it is essential to make a kind of synthesis of the AIDS phenomenon by looking into the common subjective experience of the diseased: a capital bend that introduces us immediately to the most profound depth of the subject. What can happen in the psychism of an individual that suddenly thinks he is condemned to death while he ignores the exact term? And, what is more, who can drag other people into the same end? Who has to give up the natural and spontaneous expression of his intimate relations? Who is continuously under medical care and isolated by society? And the list can be indefinitely lengthened, particularly with each event the diseased will link to his diagnosis. One may resume these questions in a few words: what is the impact on the psychism of a patient when he learns that he is seropositive? Secondary question for the virologist busy hunting the biochemical subtleties of the killer virus in his test tubes. Interesting question for the psychologist and all the other people of good will looking to keep the spirits of the unfortunate contaminated high. Fundamental and straight question for the one who wishes to understand the evolution of whatever case in the light of the first biological law. Finally, a reality but lived by the patient himself, who is the only one in fact to be able to answer this question. The question here is thus not giving a kind of response applicable to all the cases, because they are all different. Some will decide to fight the disease and will have recourse to AZT, dietetics, holistic medicine or prayer according to their conceptions. Others will take it more serenely but, even after years of seropositivity without problems, they will be shocked and will not believe it when a specialist consulted for a zona will announce them that it is now the passage from seropositivity to AIDS. Others still will ask their partner to leave them and to try to start another life and they will sink in a more and more desperate isolation. A lot, finally, will know panic, looking to be reassured each time the least "manifestation", having become suspect, comes up; what will multiply the examinations, the treatments and will often keep them in a state of anxiety. Each of them will react with the resources proper to his or her personality but we can cite two large tendencies, simplified of course, but fixing landmarks useful to deepen the comprehension. So two types of reactions were distinguished  again, schematic and too "frozen"  following the diagnosis and between which all nuances and evolutions are possible in time and according to the persons. Some will immediately sink into despair and neglect, withdraw into themselves and wait for their end. The others will reel from it and react relatively good but with that feeling of having the sword of Damocles hanging over their heads: what we would call a conflict in balance ready to reactivate at the slightest occasion. And that is what often happens: after months or years of seropositivity assumed without too many difficulties, they live some kind of conflict that will have repercussions on their body, in accordance with the biological laws. If the link with seropositivity is established by a scientific and taken for granted by the patient, the sword, up to now suspended, runs through them and that means the start of an and that may occur within a short time. Let us insist once more on the aim of all these considerations on the psychism of the diagnosed diseased: the point is not to "stick" standard conflicts on the whole of these cases but to lend an ear to the subjective experience of the individuals because it is an essential step for the understanding of the symptoms showing inside their organism. To be complete, the eventual symptoms present before the diagnosis must be taken into account and be decoded, always by means of the biological laws; this, in case the diagnosis is not the simple result of a systematic screening. But, even in that case, the experience of the diagnosis is a capital stage in the global history of a case. Let us now examine more in detail the symptoms classically associated with AIDS. The list is not exhaustive but we have picked out the principal "alarm signals", what will be largely enough to give an introduction to the new mode of hope-bringing thought. The three following paragraphs will be dedicated to the generalities, the others will deal with more precise functions and organs. By this common expression we understand not very characteristic symptoms such as weakness, loss of weight and appetite. But these manifestations are part of a state of stress and are proportional with the extent of the conflict that is being harked back. Uttered to the extreme, they are called cachexia, meaning a current final evolution in severe diseases. Let us take here a dramatic example to fix the ideas on this question: a patient in a rather good general state is operated for a tumour evolving in the conflict phase with a complete ablation of the affected organ. He can thus not experience the development of a proliferation in an organ he does not have anymore. But, as the conflict is not solved, the dysfunction of the cerebral zone corresponding to this conflict and the persistence of the conflict itself leave him in an unchanged psychic and nervous state. He will continue, up to his personal limits, to assume his situation and will end up dying from "cachexia", without any apparent relapse (because impossible) of his tumour. The important notion this example wants to illustrate is the fact that the precise organic lesion this patient presents is far from being the sole cause of his eventual death. This lesion is even most often secundary in relation with his psychic and cerebral state: in case of an unsolved major conflict, the persistence of an intense sympathicotonia is going to lead him to cachexia. This is thus one of the multiple causes of death in the so-called severe diseases and which sometimes affects the practitioners: why does someone also have to die from a lung tumour the size of a small orange (leaving thus more than one lung and a half healthy) when one can easily live with only one lung? So, when confronted with an important loss of appetite entailing a rapid wasting away and the consecutive weakness, it is legitimate to wonder about the state of health of an individual. But in a real global diagnosis, it is evenso necessary to be interested in the psychic situation. One will then often see the patient witnessing of a conflict at the height of its activity. And in the field of AIDS, it generally means the terrible conflict of feeling like a plague-stricken victim doomed to die sooner or later in a ghetto situation. As far as weakness is concerned, a distinction should be made. During the conflictual period of harking back, the individual shows rather a state of restlessness: he "goes round in circles" in search of a solution to his conflict. If he does not have enough sleep, if the loss of appetite makes his loose weight too fast, this will lead hem sooner or later to the limits of his endurance and the state of weakness, which can be very well understood, may become a final cachexia. 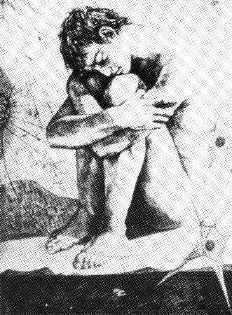 But even in this state of weakness, he is still chewing over his conflict; this contrarily to the fatigue, to the feeling of weariness (which can even make think of "depression") being observed in the second phase of the disease when the nervous system switches the organism on a rest rhythm which is always exaggerated compared with a common simple fatigue such as the one we feel after having "given too much of our energy". And in this second scenario of weakness, the psychic examination of the patient will show that the solution of the conflict has occurred. We have seen with the third biological law (on the nature of the symptoms according to the two phases of the complete disease) that the solution of the conflict entailed modifications at the level of the affected brain area as soon as the conflict starts. These modifications are repairing processes but they can provoke various symptoms the extent of which being once again proportional with the extent of the first conflict phase.
) and find their cerebral origin in a dysfunction of the sensitive and motive cortical zones. As far as complications are concerned, possible in the second phase of each conflict, we have already tackled them in the previous chapter. This is one of the basic concepts of the AIDS theory; concept which is a direct heir of the notion of immune system. After the report on the biological laws and on the role of the microbes, we will not dwell any longer on the limited and incoherent aspects of the immunity concept. But we will remind once more that the infections are part of the second reparation phase of the complete disease and that their importance is proportional with the damage accumulated during the first conflict phase. There is thus nothing astonishing to see a "cancer patient in the pre-terminal phase" go through a winter without any infection, while a young sportsman  in a good shape though  collects two colds, an angina and an influenza. When examining the triad psychism-brain-organs, one will note that the cancer patient, obsessed by his major and unsolved conflict, was not receptive of other conflicts or has completely relativised them or has experienced new ones which have not been solved yet, while the solid patient, complaining that this winter all the microbes passing by were for him, has experienced several small short-term conflicts. The same is true for the nurseries where the young children are supposed to get "naturally vaccinated" against all the microbes they are bound to coast along in this environment of promiscuity. It is, in fact, rather an apprenticeship of all the conflict a child will have to experience in this new human environment and this far from the reassuring protection of the parental circle. And the same rule goes for a seropositive: independently of the technical control of his immune system and of his T4s in particular, he will only develop the infections corresponding to his conflicts; and only after having solved them. The infections appearing as relapses or chronically only respond to reactivated or longer conflicts and not to a progressive deterioration of his means of defence. In the AIDS theory, the catalogue of the so-called opportunistic infections contains especially infections of the respiratory, digestive and cutaneous systems; that is the reason why we will examine more in particular the lesions and the conflicts corresponding to these organs in the next paragraphs. But a few general remarks should be made beforehand. The reader will have sufficiently understood the reasons why we do not believe in this notion of opportunistic disease, but the more careful examination of the infections leads to some precision. First of all a lot of our organs contain tissues of a different embryonic origin. Well, these different tissues can be affected together; either directly following the complex experience of a same conflict that would then concern more than one tissue, or indirectly because the damage and the inflammatory phenomena of the tissue affected by the conflict may entail some modifications in the adjacent tissues. An example of this last scenario is the sub-mucous mouth ulcer where the primary lesion is a proliferation of the deep layer of the mouth mucus; during the repairing microbial destruction there will be a momentary opening (ulceration) of the superficial layer, what will then provoke the typical pains of the ulcer. This explains that several varieties of micro-organisms can interfere in the second phase without, however, having to talk about extension, complication or "over-infection". Next, there is the microbial work, leaning on the modulation system of this work (managed by the brain but done by specialised tissues). It is sure that an important alteration of our organism will compromise the good evolution of this work. But it concerns here a common reality, valid as well for the cicatrisation of a wound or of a fracture or of whatever reparation process in our body. The real stake of these so-called opportunistic infections lies at the level of the iatrogenous impact; each time that, within the psychism of the patient, a link is created between an infection and the diagnosis of seropositivity or AIDS, there will be a re-stimulation or an extension of the basic conflicts (cf. 1st §). And it is in this series of re-activations that will progressively lead him to the fatal degradation. In the following five paragraphs we will tackle five distinct organic functions while keeping the same canvas: recall of some indispensable anatomic notions, evocation of the conflicts concerning them and description of the modifications which can be observed in each of the two phases of their complete disease. Concerning the explanations on the corresponding conflicts, two additional precisions should be added.
) and a pathology of one or another organ may seem too simplistic or reducing, but that is linked to the use of the words themselves and to the vulgarised side of the explanations. "Equations" such as "bone affection = devalorisation conflict" or "skin affection = separation conflict" are only general indications, guides or orientations that use generic terms. We have already insisted at the start of the second chapter: the sole psychic reality to be taken into account is the subjective (personal, intimate and unique) experience of the patient. So, in a devalorisation experience, there is a quantity of nuances (qualitative as well as quantitative) that have to be tracked in the expressions of the patient himself and that will justify the multiple ways in which the organ will proceed to its proliferation, its destruction or its functional breakdown. We will come back to these nuances in each paragraph. In that case, not only the nature of the affected tissue should be understood, but also the localisation: why an arthrosis at the nape, at the hip or at the foot? Why an eczema on the arm, on the abdomen or on the thigh? Here too, it will be the subtle examination of the subjective experience of each individual that will enlighten us. The bone tissue and the medullar tissue are intimately linked from different viewpoints. First, geographically, since the marrow occupies the centre of the bones where its function is to manufacture cells that will go into the blood: red blood cells, white blood cells and platelets. Next, the cerebral area to which they are linked is situated in the same region spreading lengthwise in the cerebral marrow: the anterior, median and posterior parts managing respectively the upper, middle and inferior parts of the skeleton. Finally, their conflict is of a same nature: a conflict of self-devalorisation. The devalorisation conflict concerned here is particularly implicating for the person experiencing it; this as opposed to lesser conflicts as the one we will evoke regarding the ganglions. We have already specified that the observation of such a conflict in bone affection is purely empirical and that it is the persistence of this relation conflict-disease, and of all the other relations conflict-disease, that made it a biological law. But the sole explanations  how coherent they may be  are often less convincing than the personal experimentation. We can thus invite the reader to try and remember what he has eventually experienced during the period that preceded a diagnosis of bone affection; such as arthrosis for example, which, in classical medicine, is considered a rather mild pathology (compared with a "tumour", a "lysis" or a "cancer") corresponding in fact to a devalorisation conflict, the extent of which is not too severe. For lack of having gone through this, one may also indulge in a little psychic exercise of imagination: what would we feel if suddenly we had soft and inconsistent bones? If we could not stand up, walk towards the desired aim, keep our heads high and look where we want to? The purpose of these few questions is trying to induce a more intuitious comprehension of what may be understood by important devalorisation conflict. And also introduce the "nuances" which are at the source of a particular localisation in our skeleton. If there is any correspondence between the nature of the conflict and (via the brain) the organic localisation, this correspondence takes on a coherence. But this coherence is especially perceptible for the organs we are conscious about. So, we know that the bones form our profound key signature and that, without them, we would not really have any structure, power and worth. We may thus conceive that a deep devalorisation conflict affects that part of our body. Evenso, we can conceive that the skin with which we are in contact with the others, will be concerned by a separation conflict. But these few considerations may not make us loose sight of the essential: the correlation psychic-brain-organs are deeply anchored in the functioning of our organism, well before the discourse and the reflections seeking to "understand" them; and their universality witnesses of their far away phylogenetic roots, written down in our genetic code. In order to distinguish the preferential affection of the bone or medullar tissue, various factors have to be taken into account. First, the bone affection often starts in the centre of the organ, thus, where the marrow is situated and the bone is then protected for a long time by its mantle that is called periostium; it is only an advanced stage of destruction of this periostium that will lead to the spontaneous fracture. Next, a limited or spread localisation in the affection of the skeleton will have different consequences of the marrow: the affection of one bone is not sufficient to have a clinically significant repercussion at the level of the marrow, which spreads over a large part of the skeleton. Finally, the medullar tissue is much more fragile, with a shorter duration of life, and thus a faster level of replacement; this being much more marked at the level of the lymphocytes. On the other hand, within the nuances of the conflict, the devalorisation affecting the bone rather concerns the aspect "strength and power", while the one affecting the marrow is rather related to the "value of affection and security". One does not prevent the other and, when combining these nuances with the factors cited above, one concretely observes loads of clinical pictures. Among these, one may note two typical schemes: the leukaemia of the child where the affection is especially medullar and more or less generalised, in opposition to the bone lesions of the adult where the devalorisation often concerns a precise domain of his life and, thus, a more limited part of his bone system. But all the variations do exist and have to be tracked at all ages of life. ). The sole differences are the severity and the length of the conflict and thus the proportional extent of the reconstruction; and let us remind that the latter is often "exaggerated" compared with the damage of the conflict phase, but having come to an end if there is no re-activation of the conflict. Let us note, by the way, that even if the bone pathology is not due to a conflict but to an external aggression, the reparation process is exactly the same. The big difference is situated in the psychic experience: the traumatic fracture is being experienced as a temporary handicap: one knows that one will recover from it with time. While a diagnosis of a tumour or of bone metastasis is an experience with a much more dramatic colouring: the menace of death is something more than the necessity of being simply a patient while momentarily enduring ones plaster! And the diagnosis of bone affection presented as severe often plays the role of maintaining, if not amplifying the devalorisation conflict. nor the one of the public opinion. The ganglions are the relays within the lymph system being the third circuit, next to the arterial and the venous ducts. The lymph system assumes the function of recuperating the liquids having filtered out of the other vessels and this by connecting to the venous system. The blood circulation having escalated in a temporary inflamed and/or "infected" region, the lymphatic circulation participates in this congestion and this is the first reason  banal and physiological  of seeing a ganglion increase in volume. But in this case, it only concerns a simple congestion, a swelling through overload which is contemporary with the proximity inflammation.
) but with the same rules of cautiousness and of global comprehension of the situation as for any other "tumour". Their cerebral correspondence juxtaposes with the one of the bone system and the conflict too is rather close. It concerns a devalorisation conflict, though less severe, with a particular anxiety nuance. The localisation of the affected ganglionic area corresponds with that of the skeletal system and thus with the domain of the existence where this devalorisation is experienced. So, for instance, the cervical adenopathies when the conflict is about relational problems. In the latter case, if a mammary tumour is found, one will speak of a metastasic ganglion while the affection of the ganglions is only the consequence of the devalorisation aspect within the conflict that provoked the breast lesion. Independently of AIDS, the reasons for ganglionic affections are very numerous and all variations can be observed according to the extent and the domain of the conflict. And, of course, every extended and/or prolonged adenopathy has to lead to the elucidation of the corresponding conflict. Among the "spectacular" situation there is Hodgkins disease, judged as a cancerous but very often curable disease of the ganglions which is a spectacular recovery from an important devalorisation and insecurity conflict. In a climate of AIDS, however, the durable adenopathy has such a reputation that is very "precisely" appreciated as the penultimate stage of the disease. Two parts should be distinguished in the skin, the pathological mode, the cerebral localisation and the conflict of which are different. These two parts are linked with the two principal functions of the skin, and insofar as this organ is accessible to our conscience, one may rather easily understand its conflictual "significance". always human since it concerns a conflict. Given the different (more ancient) embryonic origin of this layer, the corresponding cerebral area spreads in the back part of the cerebellum. The pathological mode obeys the first figure case: proliferation during the conflict and microbial reduction and/or encystment after the solution of the conflict. and this independently of the hormones, that will go on being there. In the case of a melanosarcoma, the experience of an "arrow" or of a stain is far more of consequence; but everything also depends on the extent and the duration of the conflict. And on the diagnosis too because the melanosarcoma is considered one of the worst very metastasing skin cancers. Once again, the diagnosis, only descriptive, is not the real key and it is e.g. better to have a melanosarcoma corresponding to an intense but quickly solved experience (that will leave an encysted and inactive "ugly beauty spot") than a zona that will painfully transform a large surface of the body in shreds if the conflict was very long. To come back to the climate of AIDS, we can thus understand the frequency of cutaneous affections, be they superficial or profound. And, in such a climate, the "Kaposi sarcoma" is a real time bomb: it does concern a proliferative phenomenon in the active conflict phase but perfectly reversible and curable. But, given the reputation associated with this diagnosis, if the patient "understands" (i.e. thinks, believes, feels) that he has now entered the last stage of the disease (to be more precise: "AIDS, stage IVd, cancerous affections!") one may easily forecast the sense in which his psychic state is going to act on his organism. The kaposi may in fact limit itself to some small neglectable and stable stains (such as those existing before AIDS was ever mentioned) or kill the patient in a few months through a sudden extension. This can also be said about the panic or the despair of learning that one has a cancer or a multiple sclerosis. The respiratory organs being relatively complex, and to keep things simple and concise, we will only take up the principal pathologies. We distinguish two investigation domains: on the one hand, the whole of the "airways" going from the nose to the bronchial ramifications and including sinus, larynx and trachea; on the other hand, the lung tissue of the alveoli in which the gaseous exchanges occur. The airways are managed in the fronto-temporal lobes of the brain. They obey the second figure case and, more specifically: ulceration in the conflict phase and microbial cleaning followed by a repairing cicatrisation after the solution of the conflict. The conflict concerned is a menace of the territory and this generic term of territory needs some elaboration. ; nuances which can be traced in the various areas of the telencephal and in their respective organs. The second is the integration of sexuality in the development of the conflict: the territory and its conflicts are experienced differently by men and women. This translates into different cerebral localisation and, concretely, by the higher frequency of the corresponding affection according to the genders. In the register menace of the territory to which we will limit ourselves, the various nuances in the subjective colouring as well as the extent and the duration of the conflict will again determine the multiplicity of the clinical pictures. In the solution phase, the infection will e.g. be a cold or a sinusitis after only having "scented" a menace, while a bronchitis will follow-up on a more important conflict. In the extreme cases, what is called "lung cancer" will only show by means of coughing, spitting and on the characteristic X-ray image after the solution of a major conflict but this curing lung cancer is of the same nature as a common bronchitis: the difference is only quantitative. The pulmonary alveoli are managed by the cerebral truncus and their pathological mode obeys the first figure case: proliferation in the conflict phase and microbial reduction after the solution of the conflict. This is far more archaic than the notion of territory and translates a feeling of intense danger, of fear to die. Again, according to the extent of the conflict (intensity + duration), it may vary from a few round stains to the massive invasion of the lung, resulting respectively in a banal pneumonia or a long and painful tuberculosis or another bacterial reduction. In the climate of AIDS, given the more frequent conflicts with the human environment and the more foreseeable feeling of danger, we can easily understand that a seropositive has more "opportunities" to experience this kind of pathology. The even greater complexity of this function will also lead us here to only take up some current affections, notably the bucco-pharyngeal crossroad and the bowels. But, in order to better situate them, we will first give an overview of the digestive problems. A smaller part is managed by the telencephal, obeys the second figure case and is rather linked to territorial conflicts but keeping this indigestible vexation aspect. The bowels are part of the first group. Managed by the cerebral truncus, they develop, in the conflict phase, proliferations the microbial reduction of which (after the solution of the conflict) gives rise to various inflammatory discharges: diarrhoea, sometimes accompanied with bloody, glairy, mucous losses. The infection of the small intestine adds to the indigestible vexation the nuance of fear to fail and the affection of the colon adds a nuance of saturation, of a dirty, vile or abject affair to it. The mouth brings together distinct embryological tissues. The upper layer of the mucous presents ulceration in the conflict phase that will heal after the solution of the conflict. This conflict is of a relational type and in connection with a preferred significance given to the mouth in the experience of the conflict, e.g. a conflict of not being able to express oneself. The profound layer reacts like the bowel by developing proliferations; and, in the solution phase, the microbial reduction will give rise to mouth ulcers, thrush and various suppurations. The conflict consists of not being able to ingest the bit and it is only after having decrypted the intimate experience of the patient that we will be able to understand why "it happens" in the mouth: it may e.g. concern a conflict of not being able to eat (in the real or in the figurative meaning) or to feel affected, stained in that part of the body. Let us first take up the purpose stated in our foreword: contribute to demystify the plague. In its current meaning, the myth is "a construction of the mind not resting on a bottom of reality". And that is really what we tried to do all along these few pages: question what is only a construction of the mind  in this case, a theory  and attract the attention on this reality, as neglected as universal, being the subjective experience of the human being. This, to replace the myth of AIDS by a coherent and verifiable explanation of the pathologies attributed to it. The official theory is based on a correlation between the presence of a virus and the disease, without being able to assert it through the establishment of a causality link, on which the studies and hypotheses are being accumulated since more than a decade. Our approach is founded on another correlation: one between the psychic life of an individual, his brain and his organic manifestations. A correlation that has nothing to do with speculation but that is empirical; which is not asking for a passive adoption, but for an examination and a verification by each and everyone. When the myth fades to make the path for the simple observation of each AIDS case, there are no big interrogations anymore on this new disease; a disease, so strange, that it still further escapes the "intelligence" of science. One may so understand that a seropositive continues to be well (and it does not matter whether he remains so or becomes seronegative again) while another one is dying after having accumulated multiple pathologies. This by reconstituting the history of their experience and the cerebral and organic consequences. And if a conflict is solved, it means the risk of seeing the symptoms of the recovery interpreted as a sign of evil and generating the vicious circle through the reactivation of the conflict. There are then all the conflicts an individual with such a medical identification card may live in our present society; always with the same danger for a vicious circle each time one of his conflicts is solved. And, in the meantime, life goes on regardless of AIDS, i.e. with the conflicts of each and everyone, but, here again, the organic consequences of these conflicts or of their solution can be dramatically interpreted and increase the spiral. And finally, it is the accumulation, the persistence and the tangling up of all these conflicts in various stages (i.e. active conflicts hard to deal with + reparation phases often painful to endure and risking to maintain the vicious circle) that progressively lead the individual to his personal limits to survive. We will end by putting the very concrete and very pragmatic question: what can we do when we are faced with a case diagnosed as seropositive or as an AIDS-patient? Considered from a very general plan of a "therapeutic policy", our response is the message we have been putting forward all along the course of this booklet: not treat a disease anymore but a diseased human being, the health problems of whom can not be understood without apprehending him in his globality and thus by taking his psychism into consideration. We hope that this message does not become a simple ingredient in a barely starting controversy. And the principal foundation of this hope lies in the fact that it largely exceeds the theme of AIDS; a theme we have chosen because it is a "particularly urgent topical pretext". Considered, however, at a more personal  and consequently more realistic  level, of all the individuals concerned by this question, our response will be a final summary of the second chapter: take the whole history of the case, starting with the circumstances of the diagnosis. What was the stage of the conflict(s) and of the lesions having led to the "diagnosis"? Or was it only an unfortunate surprise? How were this diagnosis and the eventual consequences experienced? Since then, which other conflict(s) occurred related or not with the experience of this diagnosis? Finally, at what stage are the three levels of the triad psychism-brain-organs now? This preliminary "inquiry" being ended, the therapeutic side will be evenso coherent: is there a vital urgency? A particular relief to bring without too much slowing down what is in the recovery phase? Help the patient to solve all his non-solved conflicts and here INFORMATION IS AN ESSENTIAL THERAPEUTIC TOOL. The approach may seem harsh and complicated. In fact, it is evenso complex and evenso simple as Life itself. "It was never clearly shown in animal experimentation that the HIV virus is the cause of AIDS and this gap in our discoveries raises an interrogation". ""AIDS does not inevitably lead to death, especially if one sees to it that the co-factors worsening the disease are suppressed. It is very important to say that to the persons affected by the AIDS virus. The psychological factors are critical to maintain the immune function. If one suppresses the psychological support to someone by announcing him that he is condemned to death, these sole words may mean a death sentence for him. But it is not true to state that the virus is 100 % lethal." It is impossible to understand disease without considering the experience of the diseased. "I do not succeed in finding one sole virologist able to give me references proving that the HIV is the probable cause of AIDS." "That nobody ever thought that the brain, computer of our organism, might be responsible for all the diseases, is very strange in the era of computerisation."